Condensation of voices in the rain. Rust to form on curves, face draining. Vile attacks from vision of vice. Not of own mind owned. Own voice, plugged and disconnected. Send them away! I will NOT. Power raised by their council. Voices drive the dagger of joyful insanity. Pouring down on this emptiness within. Surveying what should be concealed. See the sea of words and phrases within we. Without word by sound sensation without mind creation. Barrier and walls, voices, all. Within our own head… so what is no one hears. View focus by camera picture. Seething at I in the eye of I.
Zeroing in on words drifting on shadows. A calming rage overtakes neurons with silent musings. Slow drizzling on rain drenched shores of personality. Resolve perished… worry, fear, inward retreat. Heart of the matter that is the Beast Within. I, now, embrace us once more. 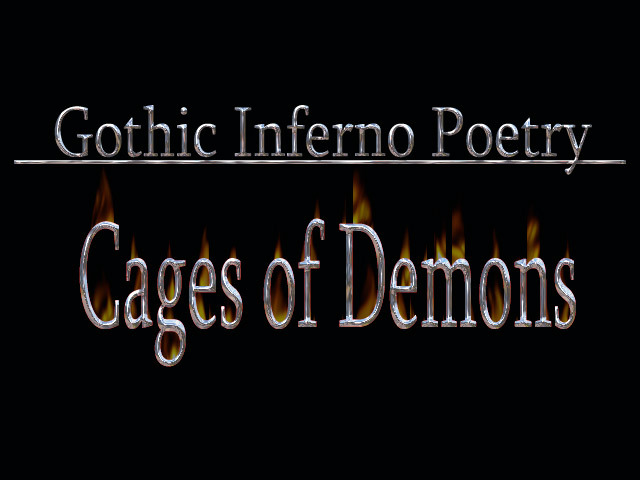 Slain are the cages of demons. Who will be next on the hit list?